This is my first time trying the Earth Lovers line from The Body Shop; and although I've only used the shower gel twice, I must say, I'm impressed! When I saw Lemon & Thyme, I hoped the fragrance would be similar to that of my favorite Yankee Candle scent, Sage & Citrus, and it's close enough. Lemon & Thyme is a harmonious blend of fresh herbs and zesty citrus. A scent that works for both men and women. The consistency is thinner than most shower gels I've tried, and despite being soap free, you only need a small amount to achieve a good lather. After use, my skin feels clean, soft, and smells great. Another reason (the main reason) I like this product, is that it's Eco-conscious, and animal friendly. The packaging is 100% recycled plastic, the product is not tested on animals, and contains no Sulfates, Parabens, or Colorants. 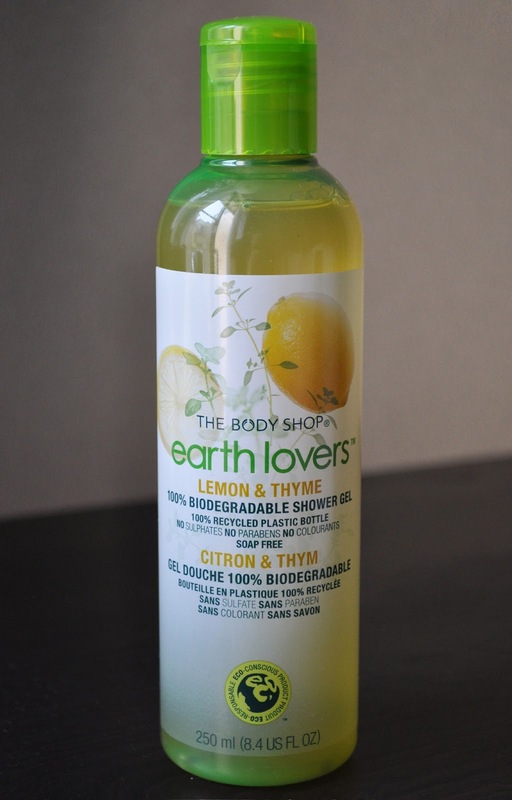 The Body Shop's Earth Lovers Lemon & Thyme 100% Biodegradable Shower Gel (250ml/8.4 us fl oz) retails for ¥1,260. Have you tried Earth Lovers line?